“Come expecting a miracle” says the huge roadside poster advertising an upcoming miracle healing crusade. “Everybody wants a miracle,” says a minor character in a well known film. In my island nation of Trinidad, West Indies one can see signs and hear advertisements on radio and television beckoning people with problems to attend these religious meetings. I often wondered if something was wrong with me because I am skeptical about these events even though I strongly believe in God’s power to heal. Does God tell us in advance when a miracle is going to occur? Does God only perform miracles at the behest of certain people known as faith healers? A close reading of Oord’s chapter entitled “Miracles and God’s Providence” puts into perspective much of what I have been thinking over the years. On page 196 the author defines a miracle as “an unusual event that occurs through God’s special action in relation to creation.” Yes, I have asked why God heals some people and not others. I have also heard that if one does not get the miracle prayed for it is an indicator of lack of faith. What a guilt trip has been placed on countless Christians over and over again! It is a fact that advancements in medical science allow ‘health-care workers to cooperate with God’s love in the world’ (197). This has been true in the case of my own illness. I did not only pray but also used natural remedies that detoxed my entire system. I was made whole again very quickly. Being healed of leprosy in the time of Jesus was a great miracle as indicated by the references to Jesus’ healing in the New Testament. Now this condition, known as Hansen’s disease, can be cured medically and is no longer considered a miracle. However, I view all healing as coming from God who uses humans as instruments to effect cures in many. I bought a special thank you card for the surgeon who removed the tumor from my son’s spinal column. I think the skill some doctors have is awesome, but I also acknowledge healing comes from God. I told the surgeon as much in the words I penned in the card. I thanked him, but I thanked God so much more! The idea of a cooperative effort between “God’s initiating and empowering love” and people (200) is noteworthy. Oord mentions that biblical authors often point to faith as part of this cooperative effort. In fact it is necessary (202-3). I endorse the role of faith and the mind in the healing process. It was upon hearing a sermon about the bleeding woman who touched the hem of Jesus’ cloak that I began letting go of my situation. Something happened within me when I heard the preacher say, “Let go and let God!” I stopped worrying and began to praise God for what was being done in my life. My de-stressed mind, the herbal remedies, and the prayers of the saints, combined with the measure of faith I had in God, began the healing process in my body. I was healed to the glory of God. What about those who exercise faith and still have their loved ones die or who die themselves? What do we say to them? Oord’s essential kenosis theory helps us to understand that even though God’s love is steadfast, God “does not selectively coerce to enact miracles for some but not for others” (213). God does not demonstrate favoritism (Romans 2:11). He loves everyone equally. So by all means we should pray for miracles of healing and we should pray in faith, believing for ourselves and others. Those prayers should be accompanied by a willingness to alter our lifestyle choices. When we pray we should at all times remember that while God has the power to heal, God needs the cooperation of the individual as well as the cooperation of their internal organs to effect bodily healing. Since the mind sends signals to the body, our state of mind, even the amount and type of support systems we have, can aid in the healing process. If our emotions are positive then the chances of bodily healing are greatly increased. The created environment in which God encourages healing is quite the complex system. It helps if we cooperate. It is cruel to accuse believers of weak faith when the desired healing does not occur. The essential kenosis view of miracles provides those genuinely seeking to understand how God works in people’s lives with a credible explanation for why some get their miracles and others do not. Donnamie Ali is an online MDiv. Student at Northwest Nazarene University. How exactly do cancer cells not cooperate with God? Does God want to heal the cells but somehow the cancer cells say, “No God” but in another person the cancer cells say, “Yes, God”. How do the details of the mechanism of cells or organs “No” or “Yes” to God actually work? Is there a conversation between them and God that takes place? How is it that “sometimes the body’s organs are simply too diseased to cooperate with ‘God’s healing gifts,’” when Jesus raised a partially decomposed Lazarus from the dead (John 11)? Lazarus’ cells and organs could not cooperate with God because they were, well, dead. In my understanding, Jesus healed many Lepers whose dead skin cells could no longer cooperate with God and they were brought back to life. Many of Jesus’ healings could demonstrate similar dynamics. From a biblical perspective, it seems that non-cooperative or rather non-responsive cells and organs did not stop Jesus so why should those dynamics presently stop God? It also seems odd to say to a faith-filled woman who loved God dearly, who had a pristine and healthy diet, “God loves you and wanted to heal you but your cancer cells and organs said no”. 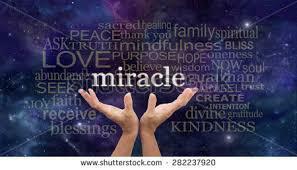 I believe that it’s human to pray for a miracle but when you think about it…don’t we ask God for His will to be done? If we really mean those words then when the ‘miracle’ we prayed for doesn’t happen we should be comforted in the fact that God had a bigger unfathomable plan. To God be the glory, great things he has done.